Better Globe has created an exciting new strategy for poverty reduction that combines elements from crowdfunding, charity, impact investing and social entrepreneurship. By inviting the world community to take part in a socially responsible business model they aim to make underprivileged East African communities self-sustained by focusing on agriculture, education, microfinance and tree planting in arid and semi arid land (ASAL). The operation is primarily funded through Better Globe AS in Norway by selling Donation Packages and trees online to customers worldwide. Both these products are long-term profitable through produce (fruits, gum arabic, etc) and tropical hardwood from sustainable forestry. Through environmental, economical and social impacts these green products create unique benefits on a global scale. In Kenya it is Better Globe Forestry Ltd. that organizes the tree planting, harvesting and the assistance given to the local communities. This also include the microfinance, renovations of children's schools together with the NGO Child Africa and tree and water donations that are funded through the Better Globe Donation Package. Many of East Africa's poorest communities live in arid and semi arid lands as smallholder farmers desperately trying to make a living. Because of this Better Globe Forestry decided to plant trees under the most challenging conditions to assist these families where they live. In areas with almost no infrastructure, economic development, or job opportunities Better Globe customers help fund job creation. The trees also help reduce desertification and soil erosion while protecting local water sources and improving food security. Food security and poverty reduction also creates a safer world community. Because Better Globe has made it long-term profitable to buy their humanitarian products it makes economic sense to become a customer. See the video interview below with Better Globe CEO & Chairman Rino Solberg to learn why this strategy for social change is so important to make a real difference and how you can help make it a success. Why help Better Globe plant trees in East Africa's drylands? Families close to the plantations are assisted as women and men are offered jobs, training in agricultural techniques, get access to cheap micro-finance loans, receive tree and water donations and children's education is supported. In addition to poverty reduction the land becomes greener and experience even show a drop in local crime rates with up to 50 percent. Trees planted in lands prone to desertification and erosion improve local conditions and protect water sources. Each tree also absorb 500 kilos of CO2 from the atmosphere through its lifetime, provide shade and other environmental benefits. 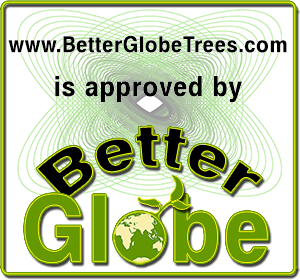 In the future Mukau trees from Better Globe may also help reduce deforestation and help protect biodiversity. With €208.25 in minimum promised return over 20 years for each tree you buy it makes good economic sense to support Better Globe long-term. Each tree cost €17 with a promise of more than 11 times the purchase price in profit. The main humanitarian product (the Donation Package) cost €53, and with two trees going to the buyer the minimum promised profit is 6.5 times the purchase price over 20 years, which also makes it sustainable to give humanitarian support. Becoming a tree owner and a stakeholder in the plantations also help improve your financial security and could become a backup plan for your pension. Your biological assets grow regardless of what happens in the financial markets. Naturally there are risks involved, but they are very different from most other investments and your assets gets truly diversified. Scientific research also proves that helping others can lead to a happier and more fulfilling life. With Better Globe you get to make an impact in poor communities right now and on a global scale for future generations. Hear what Belgium's Ambassador to Kenya thinks about Better Globe's operations after visiting the plantations and seeing how the company collaborates with the local communities, click below to see his testimonial. 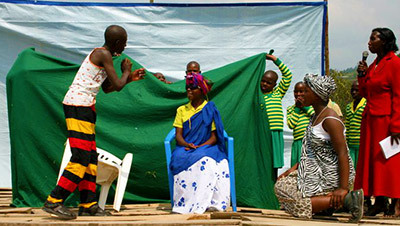 Child Africa International is a NGO dedicated to children's education with schools in Uganda and was established by Better Globe CEO Rino Solberg and his wife Julie Solberg in 1991. For that reason Child Africa is also supported through the Better Globe Donation Package with funds to build and run schools in Uganda, as well as to renovate schools and promote education in Kenya. In 2009 Miti Magazine was published by Better Globe Forestry to spread information about tree planting in arid and semi arid land. This high quality publication acts as an ongoing training program for its readers and Better Globe also share their findings through the magazine. Together with guest articles and interviews local farmers and foresters learn more about how to make money from tree planting in ASAL. 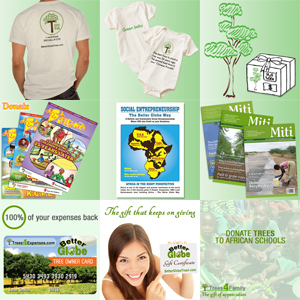 Shortly after Miti Magazine was created Child Africa's Bingwa Magazine took shape, also at Better Globe Forestry's headquarters in Nairobi, Kenya. Bingwa Magazine is donated free to schools and started out as a publication meant to help children with a positive reading culture, but has since focused on teaching integrity to prevent corruption. By focusing on children and building champions of integrity Bingwa aims to influence the future leaders of Africa to fight corruption. We are independent Better Globe Ambassadors that work to attract customers, business partners and Ambassadors by providing extra benefits including our seals for corporate social responsibility. Our objective is to increase our sales teams and create a growing environmental and social impact in East Africa while being profitable. You can support us by becoming a Better Globe customer, taking part in our sales teams, buy eco-friendly products through our web portal, share our work or you can enter in contact to learn more about what we can do together or to clarify any doubts you might have.